I’ve never fully subscribed to the notion that Khan is “chinny.” Clearly he is no George Chuvalo when it comes to punch resistance, but for me, his biggest flaw was not so much his chin, but the defensive lapses which occurred when on the offensive. For instance, until recently he tended to throw too many punches at a time without taking his head off-center and often failed to change either his height or angle when exiting the pocket. Khan also had a penchant for allowing his back foot to lag behind as he stepped in with an attack (particularly his straight right), which compromised his balance and left him a sitting duck for counter-punches. Furthermore, Khan’s decision-making and punch selection was often circumstantially poor. 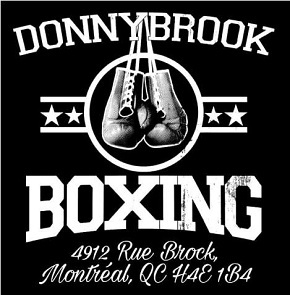 Against Danny Garcia, for example, he got caught throwing the wrong punch, at the wrong time, and from the wrong range. Stylistically, Khan has never been a pressure fighter or brawler, so he should never have been getting hit so cleanly or so often. Since joining up with Virgil Hunter, a slightly different approach has been adopted and some technical flaws have been ironed out. 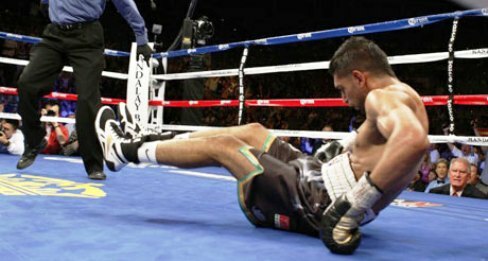 Instead of raiding in-and-out with three, four or even five punches at a time, as he did profusely while working with Freddie Roach, Khan now looks to methodically control range and limit exchanges by way of much improved lead hand work. This includes some pre-emptive “framing” and “stiff-arming” upon completion of an attack to thwart counters, as well as more precise and purposeful footwork. These days, a more patient Khan throws less but manages distance better, and he is a more defensively responsible boxer as a result. However, there is still one important aspect of Khan’s game that has yet to be refined, and that’s “rhythm.” It doesn’t matter how fast you are; speed, unless regulated, can be predicted and, consequently, timed. Khan is very fast. As far as hand and foot speed goes, he’s among the fastest in the sport. And yet he remains fairly predictable. Despite his technical improvements, much of Khan’s work is still executed at the same tempo and with the same rhythm, over and over again. By contrast, Canelo always looks to vary the rhythm and tempo of his movements and combinations, which, along with his imaginative use of feints, helps disrupt his opponents’ timing and creates openings. More important than the advantage Khan holds in physical speed is Canelo’s edge in mental speed. To my eyes, he is the quicker-minded fighter, in that he processes faster than Khan. 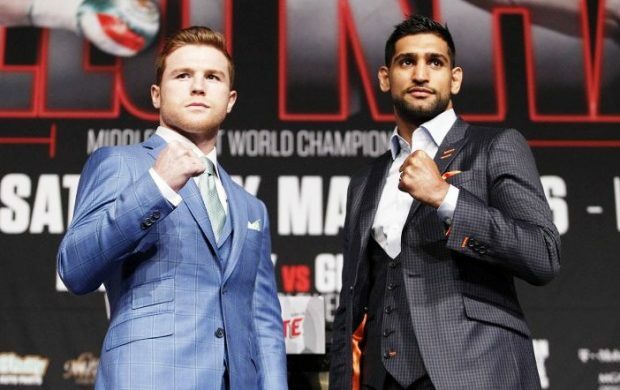 Alvarez ain’t no Floyd Mayweather when it comes to hair-trigger reactions and counters, but with his underrated defensive skills (Canelo is very good at slipping, ducking and riding punches), deceptively fast hands, accuracy and timing, Canelo will in fact be the most dangerous counter-puncher that Khan has ever faced. Needless to say, we also have the issue of size to take into consideration. Canelo will enjoy a significant size and weight advantage. Much like Conor McGregor in his recent venture at 170 pounds in the UFC, I don’t think Khan will be as effective fighting above his natural weight. I don’t think he will be as fast, nor do I think his stamina will hold up, especially once the naturally bigger, heavier-handed Alvarez begins walking him down and then systematically battering him with body punches, an assault which in turn will help pave the way for power shots thrown up top. Furthermore, Khan’s own punches likely won’t have the same effect on an opponent weighing over 170 pounds on the night. 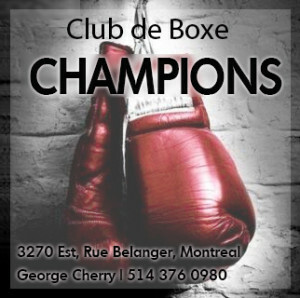 Weight classes exist in boxing for good reason. Not only is Canelo bigger, but he is also better. The advantages he holds in ring craft, intelligence, size, strength and punching power will surely prove too great an obstacle for Khan to overcome. Khan is not as elusive as Erislandy Lara, or as accomplished a boxer as Miguel Cotto. Therefore, if Canelo—who is perceived by some as a slow, plodding fighter—was able to consistently close the distance and land telling blows against those two, he should be able to do the same to Khan. Nice breakdown, Lee. Pretty much how I see it. I think I’d actually pick Canelo if they were the same size. 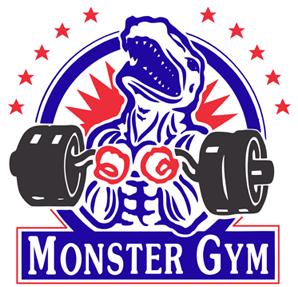 The advantages in size and strength just make it more of a foregone conclusion. 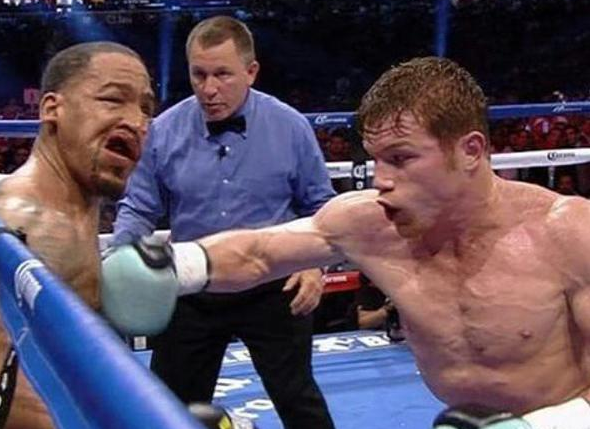 Well, it went pretty much exactly as you said – Canelo counter-punching and going to the body in the beginning, and then timing him to the head. KO is a pure Khan timing mistake, and it looked similar to his first KO loss.